But in 2016, speedrunning isn’t just about handful of elite players jockeying for position in the record books. It’s a style of play that many enjoy, and it’s the cornerstone of many burgeoning communities. Players compete with each other for high scores and fast run-throughs, but they’re also developing strategies, socializing, and organizing around these specialized playthroughs, all while audiences watch for the joy and thrill of crazily high-skilled gameplay. Says D’Angelo, “We had made a bunch of games together at Wayforward and we kept seeing speedrunners play our games, and we said ‘I wish we had that feedback before we shipped out a game.’ D’Angelo says their new speedrunning friends automatically climb the skill curve of a game and begin hitting the flow interruptions of a given level much faster than they or normal testers would, whether it’s a bug or just a flaw in platforming design. 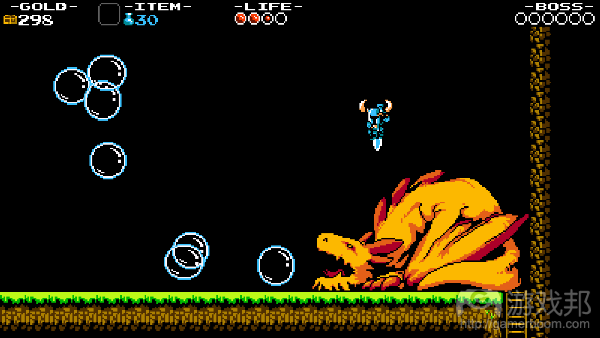 One example of this arose with the game’s wandering encounters–enemies who were programmed to randomly appear on the map with no easy predictability. For Ryan Clark’s Crypt of the Necrodancer, speedrunning started as soon as the game hit Early Access. Clark himself began making record-breaking runs on the game with his newfound community and commentating on Early Access speedrunning tournaments. Of all the games popular in the speedrunning community, the one most infamous for its hidden depths and incomplete knowledge may be Derek Yu’s Spelunky. It’s procedural generation proved to be so complex that players literally spent years finding hidden levels and searching the furthest depths of the game. Developers have the ability to patch away these bugs. But if a glitch or an exploit draws thousands more players to your game—how do you decide what’s a ‘bug’ and what’s a feature? D’Angelo, however, believes a degree of moderation is needed when debating whether to keep major time-saving bugs in the game. “It’s cool for speedrunners to play a game in a way that a real person plays it, because that’s what makes it look awesome.” he says.